SEO Book offers a set of helpful free SEO tools, focused on technical SEO and keyword research. 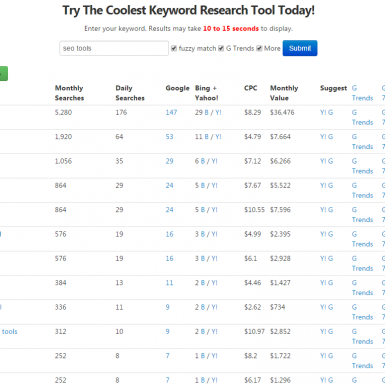 Among them, Keyword Tool stands out as a super easy tool that gives you all you need to know about your keywords on the spot: monthly and daily search volume, CPC, monthly value and more. 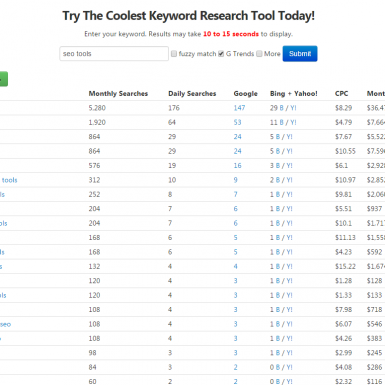 Keyword Tool is only accessible to logged in members, so make sure you registered a free account. 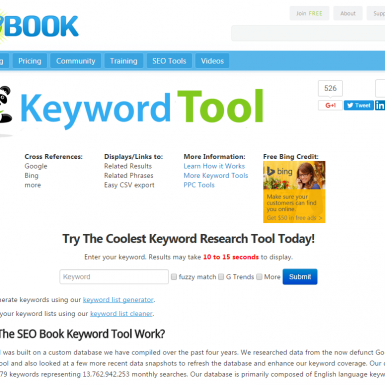 Keyword Tool is built on a custom database of nearly 30 mln of words of English language keywords.